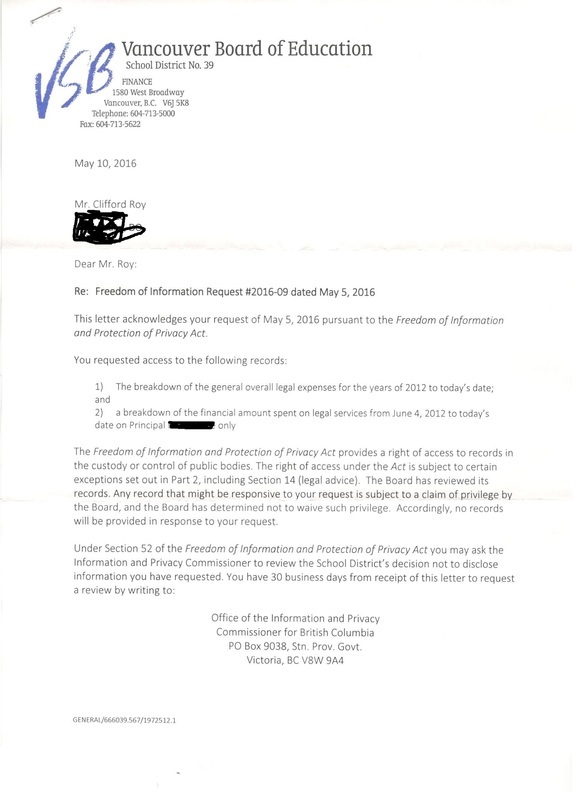 FOI request VSB expenditures denied - BC Governance banning parents from their own children. Banned for reaching out to the news media & exposing Gov. misfeasance of the public' s trust !.